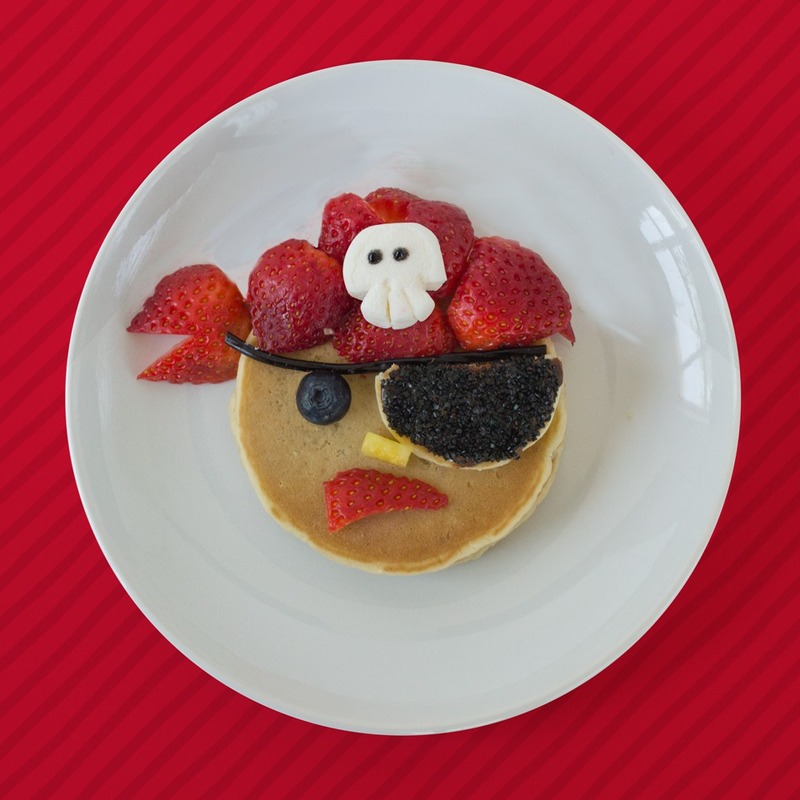 Perfect for a Sunday Funday activity, your little shipmates will love putting this Pancake Pirate together! Plus, made with our Buttermilk Pancakes and fresh fruit, Captain Mom approves, too. While pancakes cool, de-stem and slice strawberries in half. Next, trim the Mini Pancake, cover with chocolate hazelnut spread, and top with black sprinkles to make the eye patch. Place the stack of pancakes on a plate and add the blueberry eye, pineapple nose and strawberry snarl. Then, place the eye patch on top of the bandana made out of slices of strawberries. Finally, add a menacing marshmallow to the bandana to complete your Pancake Pirate. Ahoy, Matey!